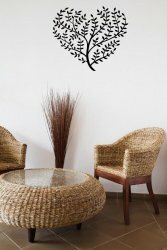 Beautiful, earthy feel of this wall design makes a great relaxing, inviting mood in your interiors. 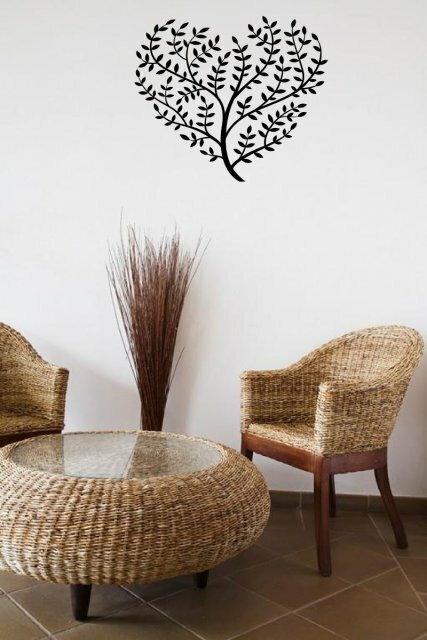 Delicate, tiny leaves on thin twigs barely forming a heart shape will fantastically soften heavy, chunky and tired feel of any living room, bedroom, corridor. 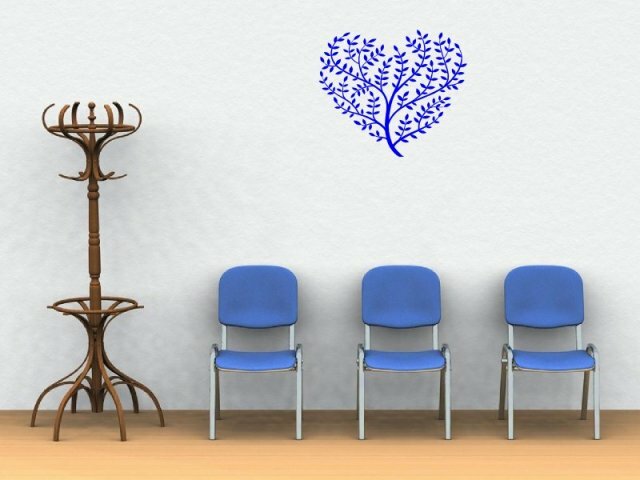 This nature inspired wall sticker due to its fragile look will amazingly blend in to your style giving it a lot warmer and lighter feel. 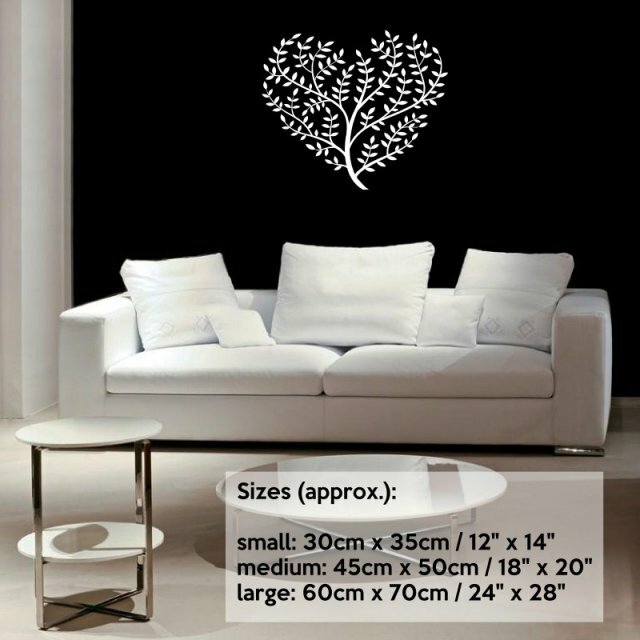 This wall decal can be ordered in a wide range of colours and three sizes to choose from.